This series is clearly inspired by Steven Spielberg’s middle-career suburban movies, Stephen King novels, and “The X-Files,” among other influences. But it doesn’t seem derivative, as it bounces among a “Stand By Me” type kids story, a monster horror flick, and a paranoid thriller. Set in 1983, the central story is the disappearance of the youngest son of Joyce, played by Winona Ryder. Joyce falls apart more with each passing minute that Will is gone, and she begins sensing his presence in her home. Is she going crazy? Meanwhile, Will’s pals, Mike, Dustin, and Lucas — all bike-riding Dungeons & Dragons geeks with big imaginations — are secretly searching for their friend. To them, it’s another romantic quest. What I like most about “Stranger Things” is the way the creators, the Duffer Brothers, never short-shrift the emotional content of the show, in favor of thrills and CGI. They know the frights won’t truly register if we don’t much care about the people — particularly the kids — whose well-being is at stake. The kids are the heart of the show, with their abiding trust in one another. They’re too young and sheltered, too steeped in “The Lord of the Rings,” to understand why trust is fragile. In a town where at least one child has gone missing, you worry for their safety along with their parents. The young actors, too, are wonderful, as they banter and tease without contemporary tones of snark. 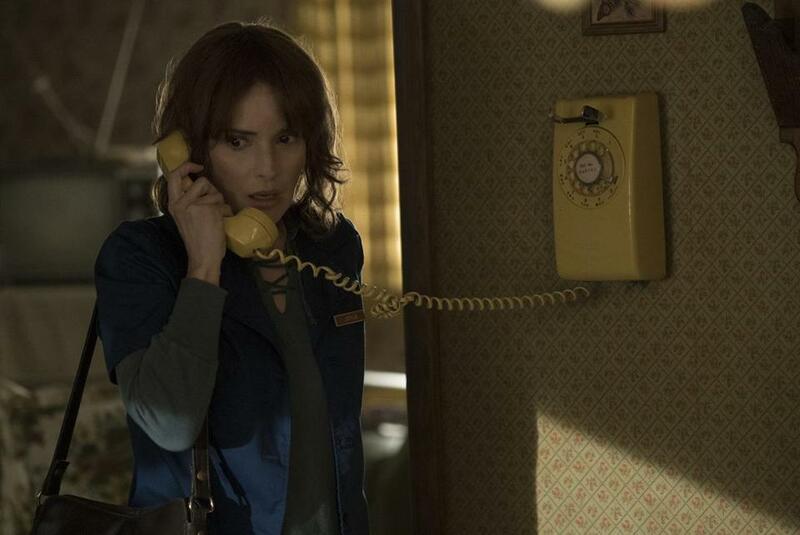 Ryder has a difficult role in “Stranger Things,” as the escalating problems in Joyce’s life push her toward madness. I wish she’d toned down her performance a notch or two; sometimes stillness can be more haunting than lots erratic, jittery motion. At points, she’s almost a parody of a crazed mother, one that might fit in more on a different, more comedic show.